This post is probably a bit late to be a proper 'Happy New Year Post', but hey, better late than never! I had a lovely break over Christmas. 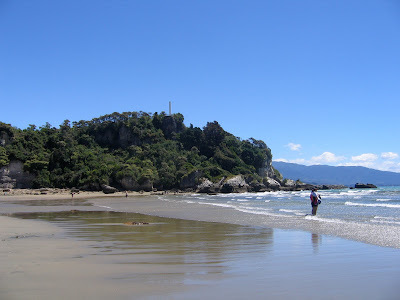 We went up to Nelson to catch up with family, then we went camping, and we took a day trip over to Golden Bay. 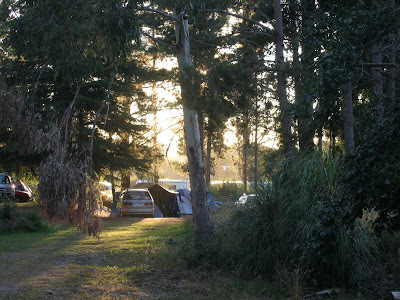 We took the long and winding gravel road to Totoranui, as I had never been there before. 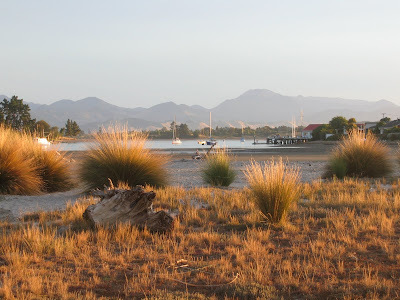 I decided that next time I visit I might just take the water taxi from Kaiteriteri! 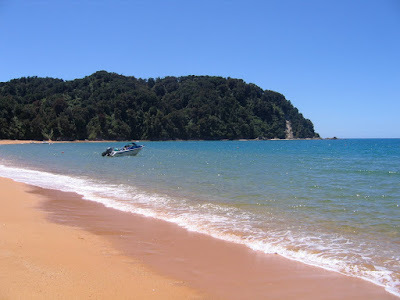 We stopped at Ligar Bay and had a look, as I had stayed here in a school trip, and remembered there was a nice beach. I wasn't disappointed, and decided it would be a great place for a bach. Unfortunately we didn't win that lotto draw! I don't normally do New Year resolutions per se, but usually have something I'd like to achieve. This year I'd like to be a bit more organised – who doesn't! I have had a cleanout and sold some old things I no longer use on trademe. The extra space may be shortlived as I found it's a great source of yarn to add to my stash... There's some rather pretty yarn on my watchlist right now. I'm hoping 2010 will be better than 2009. I didn't have a terrible year, but there is always room for improvement, and now that I have (hopefully) discovered the source of the health issues I was having last year, I think things can only get better. In a couple of months I will know for sure and will be able to move on, with or without gluten as part of my life.